The Magic Chef 0.9 Cubic-ft. Compact Top-Load Washer in white is perfect for small laundry spaces. Its compact, space-saving design makes it perfect for apartments, dorms or even RVs. 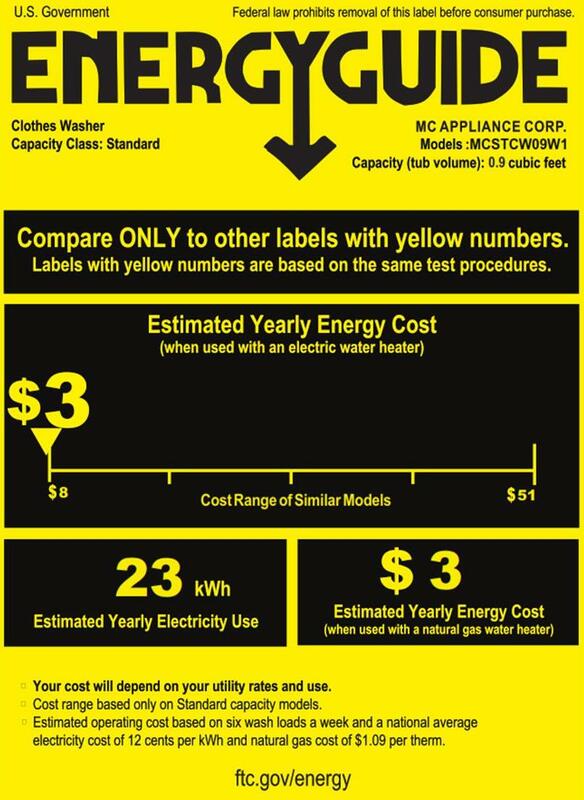 Easily customize your wash with 5 wash cycles and 3 water levels. You can also use your sink as a water source with the quick-connect adaptor for added convenience. This washer is equipped with auto unbalance detection which adds more water in the tub to redistribute clothing evenly.